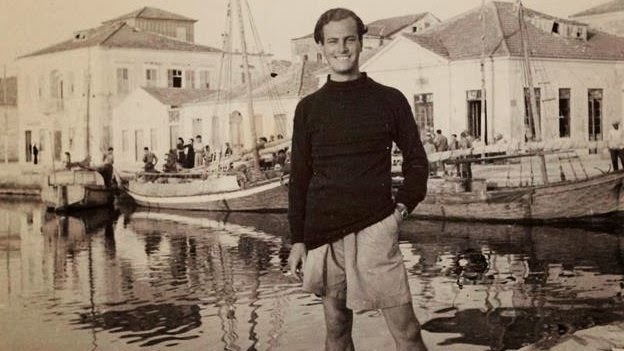 Today marks the centenary of Patrick Leigh Fermor’s birth (February 11th, 1915). 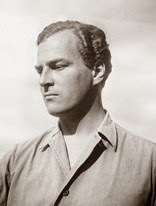 Leigh Fermor was and remains an inspirational writer – fascinated by freedom, travel, history, linguistics, art, architecture, food, good company – urged on by a boundless curiosity, unhindered by any sort of shyness, he sought to make connections where others might never have thought of looking, let alone expected, in order to build up a picture whereby to understand and appreciate the world and its wonders as he encountered them. For many he is the model travel writer par excellence. A man of his time perhaps, but someone whose writings continue to resonate with readers to this day, works which remain much loved, appreciated, and treasured – even though the life and times they recall can often seem a world away from our own. 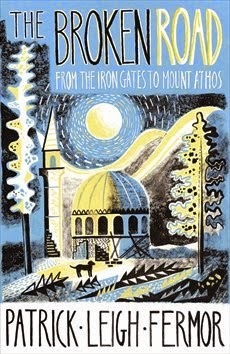 I first tried to read Patrick Leigh Fermor when I was around the age of fifteen or sixteen. My sister had given me a copy of his most famous book, A Time of Gifts (John Murray, 1977), which recounts the journey of his eighteen year old self, walking from the Hook of Holland, through Germany just after the Nazis had come to power, to the Middle Danube in the early 1930s. I’m sure she thought the book would appeal to me as I’d recently returned from my first student exchange trip to Germany. 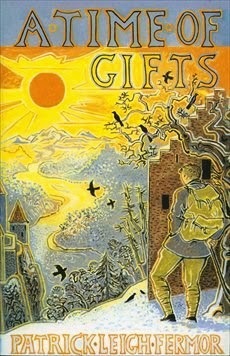 I was, then also, of a similar age to Leigh Fermor at the time he made his memorable journey. But the truth is, I couldn’t get much beyond the first few pages. Fermor’s florid prose seemed too dense; yet clearly it lodged in my mind nonetheless, as – when I returned to the book many years later – I found I’d retained a vividly etched picture of his arrival in Holland and his first night’s stay there at an inn. It may have been the strange and (to my mind) apparently irrelevant framing of the book’s Introduction in the form of a letter to his friend, Xan Fielding, which set me off kilter. I think I was probably trying too hard and paying too much attention. Assuming I had to take everything in and remember it all in detail in order to understand in-depth each of the pages which lay ahead. I had no idea at the time that part of the great enjoyment of reading this much loved book is that it ranges so widely across so many varied topics, assuming we know all about, and are just as familiar with them as its author, and that all we need do is simply follow the flow, letting the words wash us lyrically and effortlessly along on the adventures of anecdote and shared curiosity. Adding another fifteen years and (just shy of) ten more, I eventually returned to make a second try at reading A Time of Gifts. Now older – wiser? ... Certainly more widely travelled, and so, maybe a more receptive reader? 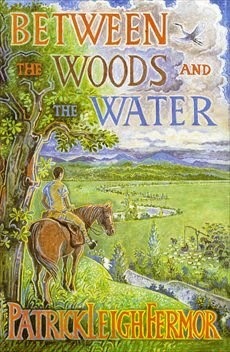 – I spent the winter weeks over the Christmas and New Year holidays accompanying ‘Paddy’ on his remarkable journey; reading not just A Time of Gifts, but also its sequel or second volume, Between the Woods and the Water (John Murray, 1986), and the recently published ‘concluding’ volume, The Broken Road (John Murray, 2013). Reading the three books in sequence may seem like quite a travail in itself, but it was interesting – mainly to see how Leigh Fermor’s trilogy had … Well, I’m not entirely sure what word will suffice here – faltered? Developed? Altered? Changed? Dried up? Succeeded? Abandoned? Excelled or exceeded him? … I think any and perhaps all of those words could equally apply. The first two books were written forty and fifty years after the events they recall. He had long before lost most of the notes, letters, and diaries which he’d kept at the time of the journey itself (although one old notebook did unexpectedly resurface and was returned to him whilst he was writing the first volume). Consequently, he felt inspired and at liberty to roam as freely with his recollections as his youthful self had felt free to wander when making the original journey all those many years before. This meant anything was possible, rather than a literal narrative travelogue he could meander, linger, or digress as his fancy inclined; and, as a result, the book is made all the more remarkable for its unexpected leaps in topic and focus. One moment he is recounting his methodical progress from morning to afternoon on the open road, when – all of a sudden – a remembrance of a particular view or a certain building encountered there will ricochet him off on a tangent which could find its focus in an arcane architectural observation, reinforced by a curious fact of history (which he has only just looked up, as he tells us, catapulting us into the present, sitting beside him in his study), which is then linked to another notable incident (sucking us part way back into the past) from a later and otherwise unconnected journey, again backed up by reference to a date stamp in his old passport (which he checks, having it lying beside him there on his desk as he writes) which confirms how and when he could have known what his younger self would not have known at the time – but (as we the reader will no doubt agree), he would certainly have relished if he’d only been aware of it back then! A Time of Gifts is a subtle and genial, yet remarkable feat of writing. To read it is to accompany two Patrick Leigh Fermors – the one making the journey and the one recalling it; yet it is also, in many curious senses, akin to knowing and feeling what it was like to be Paddy Leigh Fermor, both on the road and at his desk; vicariously seeing the world through his eyes, yet reflecting with him on it and what we each know of all that has transpired and transformed these parts of the world in the times which have since passed. Reading Leigh Fermor is much like reading Marcel Proust (yet without the ‘inconceivable boredom associated with the most extreme ecstasy’ – to quote Henry James! ), as both Proust and Fermor are primarily concerned with the pursuit of ‘lost time’ and ‘time regained’. In certain passages, in this respect, the two writers are almost one and the same. 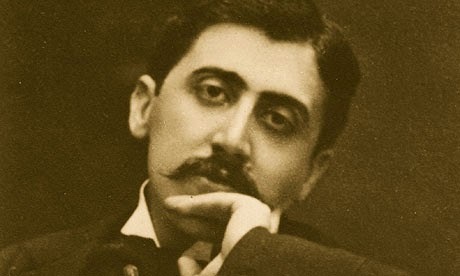 What makes this trilogy perhaps all the more interesting is how that process – the search for lost time – clearly falters and fades (and perhaps this is where he differs from Proust). For me there is clearly a change in gear between A Time of Gifts and Between the Woods and the Water. And, while The Broken Road (posthumously published) certainly completes the journey, it is actually assembled from his earliest drafts, before his initial ideas had properly crystallised – and, as such, the trilogy essentially remains unrealised as he would have wished it himself. It is a much recounted fact that Leigh Fermor struggled with the heavy weight of expectation which he encountered and felt from his readers to complete the narrative – to reach that golden final destination, Constantinople! ... But there, too, perhaps is the trick – true travellers, though they may not openly acknowledge this will most likely nod nonetheless – true travellers never really want to reach their destination. In the words of photo-journalist, Dan Eldon, very often “the journey is the destination.” And this is what fascinates me most about these three books. In many respects, I’m attempting to do something similar in writing this blog – not that this blog is anywhere near being on any sort of a par with Patrick Leigh Fermor’s writings! (Although, sometimes, I rather wish I’d had a Jock Murray on hand to tell me how daftly awful my choice of a title for it was – but, I guess it’s too darn late now!) [The original title of this blog was 'Eccentric Parabola']. As a person who travels frequently, and who is often asked by friends and family about these trips, I wanted to find a way of recording them for myself as much as anyone else. I’m sure there will come a time when I no longer travel as much as I do now. Not knowing when that time might begin, it could come sooner or equally later than I realise, but what has always been clear is that sometimes these trips are stacked so close in succession, and sometimes are so busy and demanding in and of themselves, that I don’t always find the time to properly record them as they happen. From some trips I have full and methodically handwritten travel diaries stuffed with old tickets, crinkled beer mats, and dog-eared restaurant flyers, as well as numerous photos which I’ve taken; yet for others I often have nothing more than the vaguest memories and perhaps a single faded ticket stub. That’s why I decided to make a record and share it with anyone who might be interested – after all, there’s nothing travellers like more than to sit and swap travel stories! Our memories of our past travels often resurface in the form of episodes and snapshots. Coloured by fleeting smells, tastes, half-remembered thoughts, sensations, and feelings. Time lost and time regained. These traveller’s tales often alter in the retelling as different elements are recalled on different occasions for a variety of different prompts or reasons. Setting them down may be an attempt to stop us embellishing them too far, although setting them down is often simply a springboard for yet more tales and other anecdotes – but the real truth is, and I wonder if this might be why Patrick Leigh Fermor never truly felt himself able to round off his trilogy, is that simply – some journeys are perhaps too much a part of us. Parallax becomes paradox. Parabola becomes ellipsis. We can never capture the true essence of the best journeys we’ve made because they are forever refracting and changing within ourselves. * I later found the original book on a shelf at my sister's house and it let's me off the hook as there was no Introduction by Jan Morris in that particular edition.